Comes in a variety of fun colors. Want to mix and match? Check out the 3 pack of Brewer Caps. The cap is amazing, I wish I had bought several. It fits great and it makes checkng the brew so easy. I don't have to worry about bugs getting in because it fits securely. We LOVE our brewer’s cap. We have one of the porcelain brew vessels and trying to get a rubber band around the top (as the lip is short) was impossible and irritating. Spending 10 minutes just to get a cover on is ridiculous. It also never felt as if it was secure. Luckily, it’s winter, but I was so worried about fruit flies come summer. I’m beyond glad we made this purchase (and will be buying another for our second CB and a couple of the jar caps for our hotel and KV jar). It is so easy to put on, elastic is thick, grips well and gives a nice tight seal so nothing will be able to get in to our vessel! It’s 110% worth the cost. Plus, you get to support small business, which is a major bonus. We’re grateful for all of the knowledge KK has provided us and the wonderful products! Perfect for my the top of my Porcelain Water Dispenser Crock - 2.5 Gallons which I use for brewing kombucha. 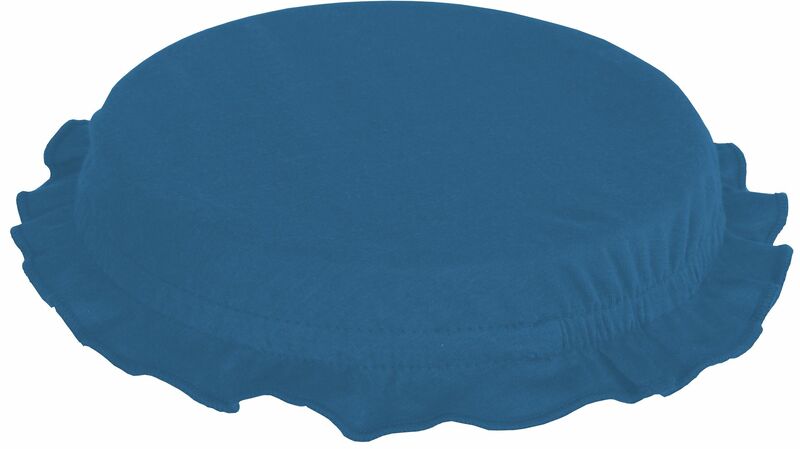 It fits perfectly on the top and the elastic is strong and sturdy. Keeps out the bugs and dust but let's the brew breathe. Definitely recommend! The cap is good looking and convenient. The Kamp has me and my brew covered! When the simple cloth and plastic ring top for my ceramic crock proved ineffective in keeping the dreaded fruit flies away, I ordered a Brewer's Cap. It is perfect. Nice snug fit and it matches the color of my crock too. Highly recommended to anyone doing continuous brewing in a crock. Love how well this works on my CB vessel. It stays put instead of slipping off like my flour towel and rubber band. It also looks great!! Thanks for another great product, Hannah and KK team! I purchased the purple cap for my continuous brewer, and I LOVE IT! The color is just what I expected, and it's such a classy way to keep my kombucha safe from the dreaded fruit fly! 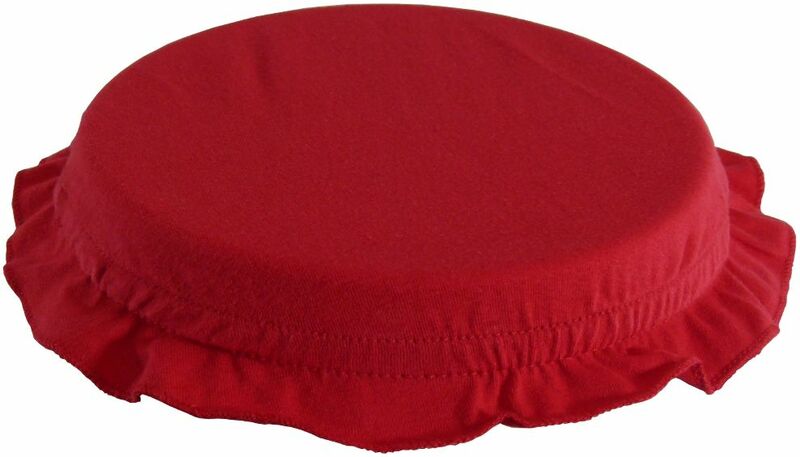 I purchased a red cap to switch out with the original black brewer cap that I have as my kitchen has a lot of red. Same quality as the black one (awesome!). I've never had a bad purchase experience with KK & recommend for all your brewing needs! I am totally obsessed with this brewer cap. I am all about ease of use and knew I'd get frustrated trying to struggle with some other material and a rubber band. This is a must-have! You'll thank yourself later. Fits perfectly on my 2.5 gallon porcelain CB system...love it!! I'd give my purchase 5 stars. I bought a cover for my kombucha vessel. I love it very much and find it very convenient. The Brewer Cap truly does put the final touches on a CB unit as it adds some nice colour (of choice) on the top of the unit, and provides the necessary function of keeping out the fruit flies. It is so easy to use and clean and the gripping aspect of the elastic on the inside of the cap makes the process of putting it on the brewer so easy. The caps are a great way to dress up your brewer! Another help from Hannah! I just love the Brewer Caps! No more tea towels and rubber bands. Much more attractive and easy to attach. Great quality, too. I personally love the black ones, but appreciate the great selection of colors that a available. My cap came with my brewer and I wasn't sure it was all that important....wrong! this is easy, effective in keeping Florida critters out of the brewer (as well as my cat!) and fits perfectly on the brewer. Plan to go and buy the 3-set so I have extra while one is in the wash.
A must, it is a simple but effect way to keep fruit flies out of your brew. It washes and dries quickly. Love mine for my stainless steel brewer, a perfect fit. Cute!! Cute!!! Cute!!! Love it! Well made!! Great idea!! Nacy Cap looks so clean with my green crock. Much better than the tea towels I used. I purchased this as I started back into brewing my own in a 3 gallon glass jar. Since I couldn't use the metal screw on lid I had been using a towel and rubber band. 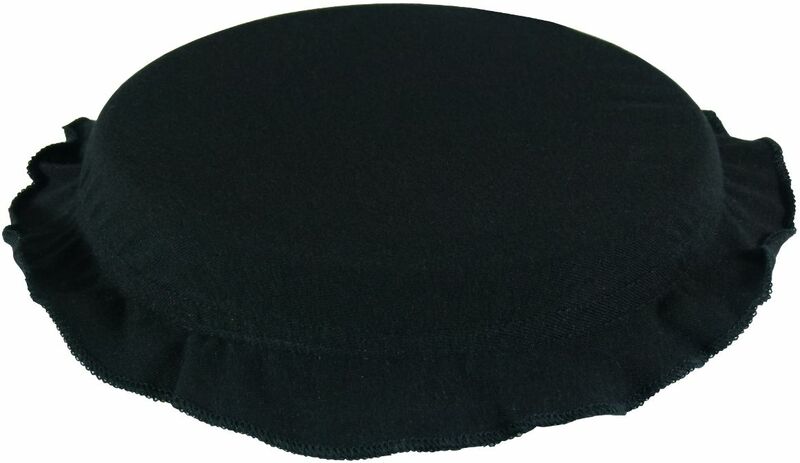 The brewer cap fits, is easy to put on and makes the whole process so much easier. It has been several weeks now and I have yet to see any fruit flies. The customer service has been good - but I haven't really needed much since everything was shipped quickly and arrived as promised. They work awesome. Fit quart, half gallon, and gallon jars nicely. This brewer cap is simply genius! One came with my continuous brew kit. It is so easy to use! And looks so attractive happily topping off my brewer in my kitchen. I was seriously wondering how to cover my brew and did not want to use rubber bands since I am very latex/rubber allergic. These are so easy to handle so that I don't have to touch the elastic section. This cap works perfectly on my kombucha continuous brew system container. It has a nice rubberized-grippy material on the inside, but isn't so tight that it is hard to get on or off. This was essential to keeping the fruit flies off this summer- I often found them hanging out on top since they were attracted to the smell. They would have swarmed my kombucha without it. The brewer cap is not only functional, it is attractive and durable. I have the royal blue cap on my floating-blue stoneware crock and it is very stylish:) The cap is well made and the elastic band fits snugly around the opening of the brewing vessel. Excellent product! I have and use two of the 'Brewer Cap for Modern Porcelain vessels' - for my 2.5 gal. vessels. (Because one 2.5 gal is just not enough around here!) I absolutely love the caps! They fit and function perfectly, and make brewing more practical and less stressful. I am able to feel confident that I have the correct balance of air circulation for the scoby and good sealing to keep out the fruit-flies. Plus these look attractive and neat. I am a huge fan of these products and they are well-worth the investment! I listened to the reviews and started with a cap from the beginning. Of course it is easy, but what I love best is being able to smell the brew. I don't even have to taste it to know if it's ready. 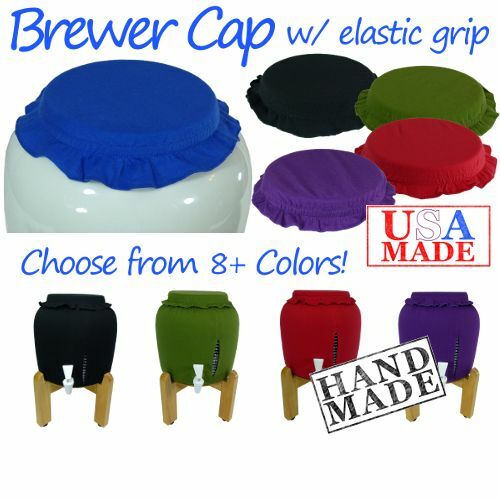 I bought this brewer caps after using a towel and rubber bands. Rubber bands are always breaking of slide the towel up off my crock. These caps are fantastic they grip the brewer and never ever move unless you take it off. I love them will definitely order more. i love this cap its easier than tying cloth around. The brew cap for the continuous brew set-up is awesome! It fits perfectly and gives the set-up a finished look. It is looks much better than paper towels and a rubber band top. I like is so much I plan on ordering another for the second continuous brew I am about to start. Worth every penny! We always have fresh produce in the kitchen and fruit flies are magnetized to kombucha. These caps are fruit fly proof. They can knock but they can't get in! I was sceptical this would work on the sloped top of the crock so I kept comparing pictures and the crocks looked like mine. Reviewers said it worked and they loved it so I got one. LOVE IT! It clings like glue. Fruit fly season is approaching and you have saved me! Thank you. I absolutely love my brew caps! Every other alternative I tried was not only annoying and impractical, but also unattractive. Okay... attractive is optional, but these little caps are neat, practical, and yes -- attractive. Everything I needed and wanted. Love it! 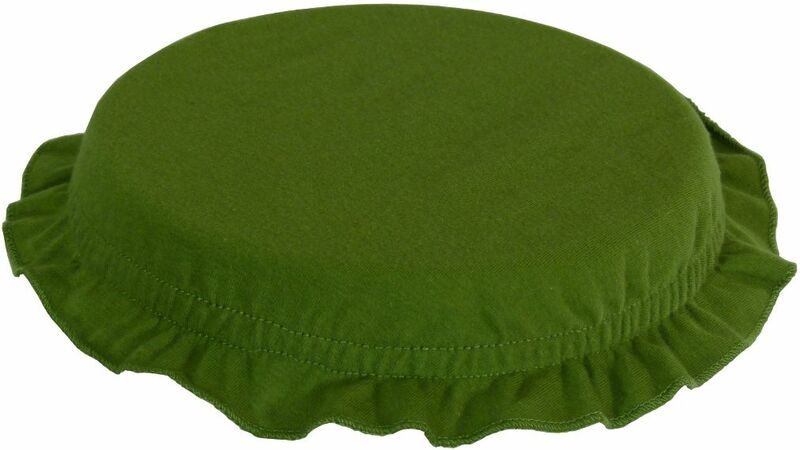 This cap cover is perfect to keep out fruit flies, ants, ect. It fits perfectly. I love that it is machine washable. I ordered two. I use it for my continuous brew system. Far superior to a dish towel & rubber band. I love mine, and that I could pick a color! 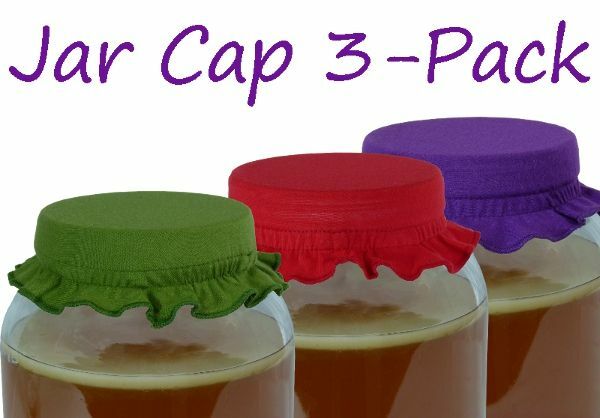 These caps are a must-have for brewing! I received one with my continuous brewing package, and fell in love with them! A cloth and rubberband works fine, but I’m forever shooting the rubberband across the room when I remove the cloth. These go on and off so easy, and are much more attractive and don’t look as messy. I’ve ordered them for all my brewers, and the Jar Caps work great on 1 gallon containers and my scoby hotel. Highly recommend them, they’re worth the money! These little caps are adorable. It beats the paper towel/rubber band combo that I've been using for a while. I'm a huge fan of Komucha Kamp. I've bought scobies, water kefir, a brewer and other misc. 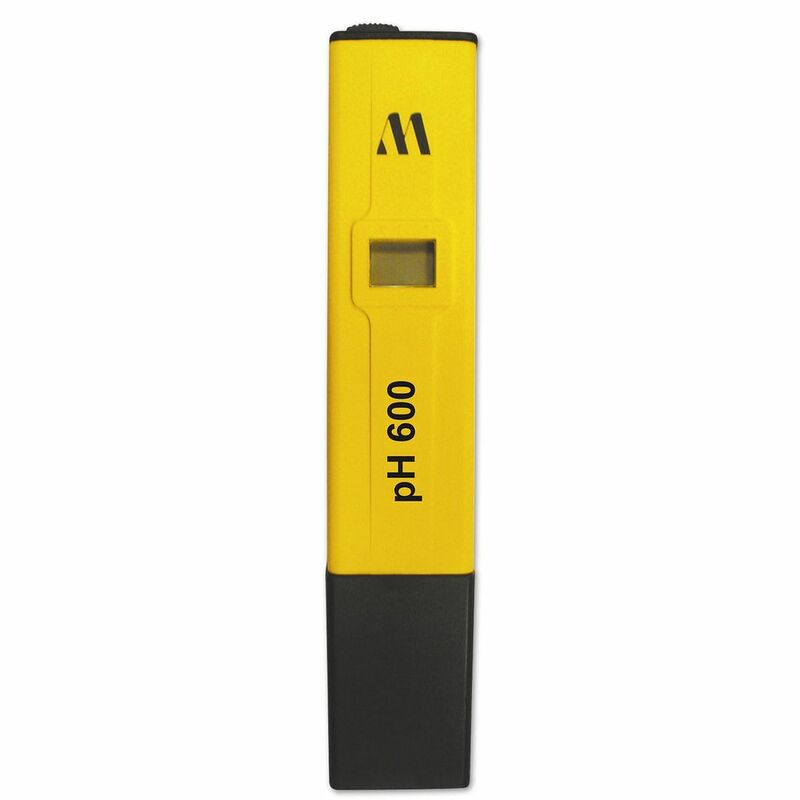 items and have been very pleased not just with the products, but with the customer service as well. Had to have this cute and functional cap as nothing else stays on like these do and they really top off the CB crock for the "total experience"! I just ordered one for my sister! It looks much nicer than the towel and rubber band combo I used before! Fits perfectly. The mesh size is important during the fruit fly season to protect your brew. Love this brewer cap! So much better than a rubber band and cloth which I never felt like I could get on securely. I was always worried the rubber band was gonna pop right off! Not anymore. This cap feels very secure so no more worries! Worth every penny! Do yourself a favor and get one of these great caps. So much easier than alternative covers with rubber bands! No fruit flies in the booch with this cap. I have bought the continuous brewer. I bought the red cover for it. It goes well in my kitchen. A great place to get all you supplies. Perfect! Neat, sweet, petite! Fits my stoneware perfectly. I have a beautiful water crock that is grey with dark blue stripes that I am using to brew. The cover doesn't allow air to pass, and I wanted something that looked nice instead of the dish towel & rubber band. I got the dark blue one and it looks great. The mouth of the crock is 8", which is at the high end of what this is supposed to fit, and fit it does! The elastic is stretched to the limit, but does not seem overstretched. It look great! I ordered a cover for my Kombucha vessel and received the wrong one. You were so speedy in sending out the correct one and even told me to keep the incorrect one for future use. Thanks for getting this to me and in such a very short time. The cover cap is perfect for the jar I am using. It arrived faster that I had expected. I love my brewer cap. Aside from keeping my kombucha so clean, it makes the porcelain container look extremely attractive. I am also very glad that I accepted your offer for the matching tee. Friends who have visited have been intrigued by the elegant appearance of it and subsequently wanted to know all about it. What a handy lil cap for my CB vessel! Easy to handle, and functionality is perfect! The first one I received with my CB Deluxe kit had a defect, but Hannah replaced it in lightening speed! This cap is soooooooooo much easier and more convenient than a cotton cloth and rubberband AND it looks a lot prettier! I will def have to order in more colors. 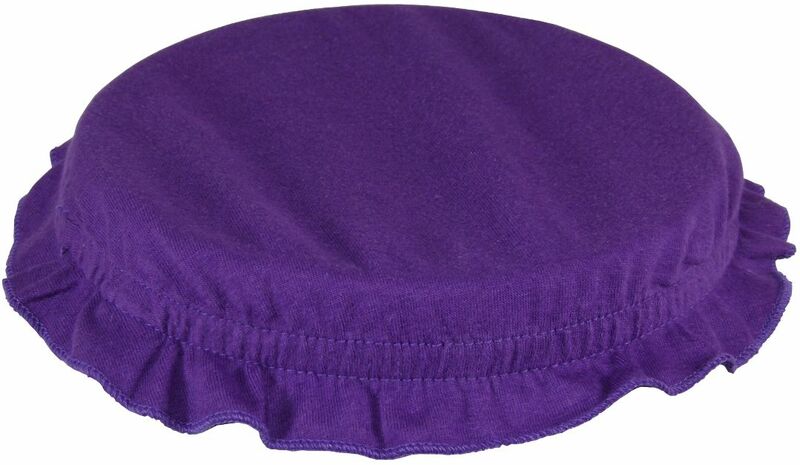 I purchased the purple brewer cap for my mom. She loves it and it fits perfectly on her crock. I am always happy with my purchases. I will definitely be back! I received the new cap today, and so far so good! Thank you so very much for the replacement! Keep calm & brew on! These caps are so convenient--and they look great! I will be ordering more! 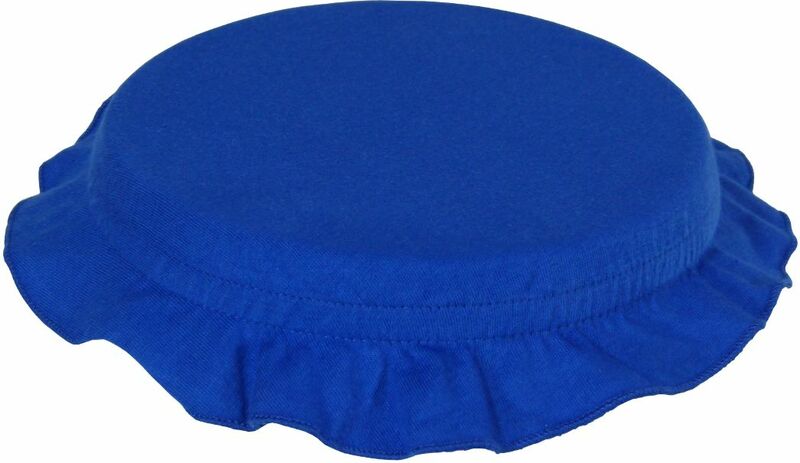 I ordered this to alternate with my other brewer cap so I can always have a clean one for my continuous brew vessel. Works very well - so easy! All the products I ordered were great and I am satified with your companys products. Will order again,you provide a wealth of knowledge. LOVE this cap!! So much easier than the cloth & rubber band!! I love the cap. 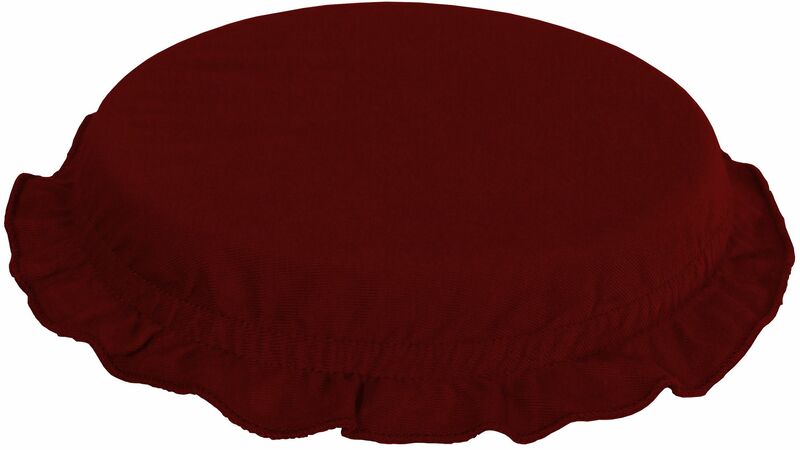 The grippy elastic is a snug fit and the deep burgundy color is very nice. Much better than napkins, towels and a rubber band. This is a handy addition to my brewing set-up. It is elasticized so it fits snugly to keep out the fruit flies.In fact, I like it so much I'm planning to purchase another one. I was using coffee filters to cover my gallon jar but now with this really cool reusable cap I will be able to cut cost a little more. Can't wait to buy another one for my CB. Thanks for the great product! I love this little cap! It's a big improvement over the cloth-and-rubber band method (not that there's anything wrong with that) because you don't have to worry about losing the rubber band or having it break. Plus, it's super cute! I was using a piece of cloth, duct tape, and a rubber band to cover my brewing vessel before I decided to buy the cap. I am so glad I made this purchase! It is well made and extremely useful. It does EVERYTHING it is supposed to do and was definitely money well spent. And it is so much easier than fussing with the rubber band every time you need to access your brew! The cover is great. So much better than using a paper towel! In fact, my Scoby multiplied, so I need to buy another one. I bought this as the perfect gift for a friend I turned on to Kombucha! After sharing my SCOBY (from my SCOBY Hotel)as well as the knowledge I've gained from Kombucha Kamp, she's now a KombuchaMama too! Forget the rubberband-thing ... this is a must-have! I really love this cap. I had a TERRIBLE problem with fruit flies until we got this cap. If you do kombucha, this is a must. it fits snugly and we haven't had any problems with flies in our booch since. Just as described. Am so glad I just bought it instead of taking the time to make it!